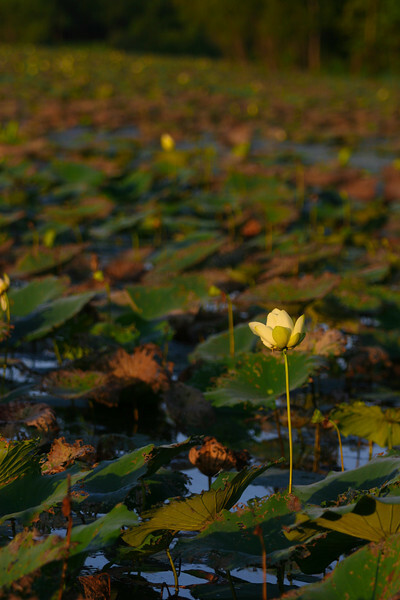 Even in a swamp, a lily is still a lily, rising above the mud into the sunlight, catching the rays on her petals, shining a bit herself. Even "blushing unseen," the beautiful is still there. Even if you'd not made the picture, this one would have budded, blossomed, lived out her days, and faded gently away. Lovely photo, lovely lesson, Robert. Great photo and great thoughts, Robert. I notice that the flower is looking straight up, focused on its Creator instead of drooping its head to look at the desperate circumstances around it. Also makes me think of the expression "Bloom where you are planted!" We can bring light even to dark places if we keep our eyes on Him! Love this post, and the picture. A lesson we can all learn from, indeed! What a lovely post, Robert!